For a sustainable and integrated planning across the BSR, planners and stakeholders have to be engaged in holistic, pan-Baltic thinking where the whole Baltic Sea is considered as one ecosystem and one planning space. 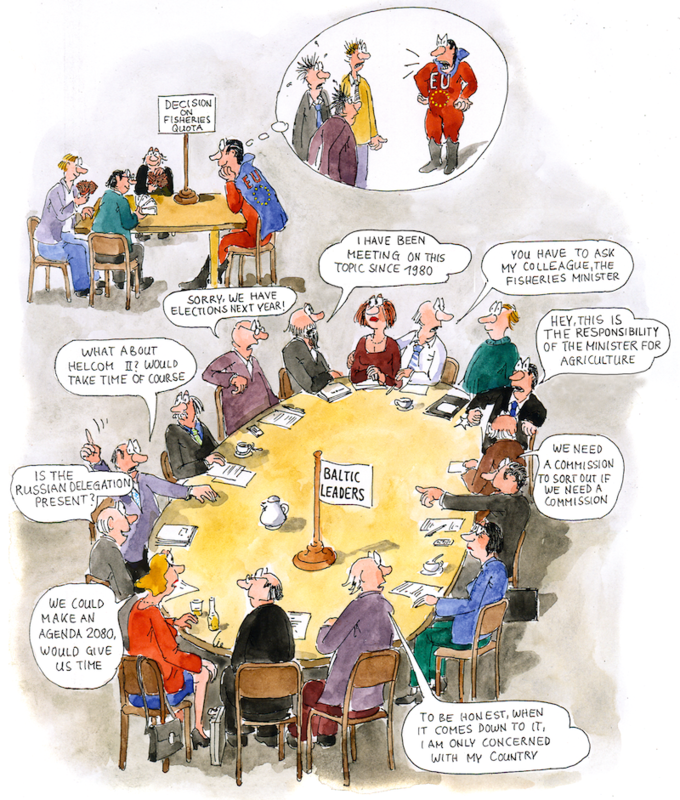 Since interests most often tend to be expressed on a one sector / one nation (or region) basis, PartiSEApate will focus on engaging transnational, national and regional bodies as well as sectors and researchers in a series of dialogues on a pan-Baltic level. Through these workshops, stakeholders will gain an understanding of what MSP means to them and why it is important to treat certain topics on a transnational level. Planners will in turn get an insight into their priorities, objectives, expectations, fears and hopes. Initial workshops will be devoted to only one sector/topic each, so as to focus the discussions. In subsequent steps, communication lines will be opened to stimulate cross-sectoral debate: sectors will then interact horizontally with each other to identify synergies and conflicts, and develop priorities and solutions for future MSPs and related governance processes. 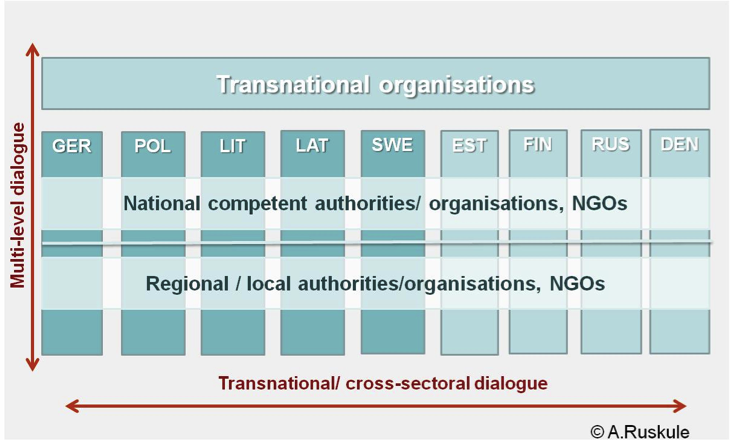 The ambition is to develop a pan-Baltic approach for those topics whose spatial dimension transcends national borders as well as a concept for an MSP institutional and governance model for transnational cooperation, agreements and data exchange.